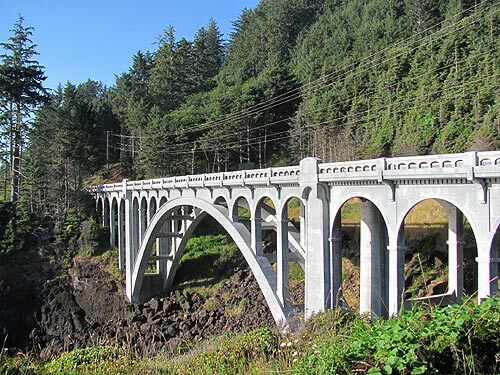 (Depoe Bay, Oregon) – The Ben Jones Bridge – once known as the Rocky Creek Bridge – is the stunning Conde McCullogh-designed construction that was built in 1927. 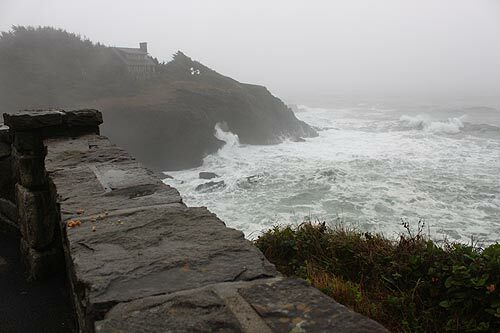 As you begin your southward journey on Otter Crest Loop Road (a rather secret Oregon coast route that runs below Highway 101 near Cape Foulweather), you first pass Rodea Point and almost immediately you’re at the bridge. Since its creation it’s been loosely called the Rocky Creek Bridge but mostly and officially known as the Ben Jones Bridge. It would follow then that the lookout here would be called the Ben Jones Bridge Viewpoint – and what a viewpoint it is. This is a place where the surf does all sorts of crazy stunts, even in calmer weather. The lookout features a stone wall that has its own charms and a placard – but no restroom facilities. Ben Jones is known as the “father of Highway 101” for his seminal work on legislation regarding its creation, back in the 1910s. Jones wore a dozen hats over the course of his life: lawyer, steam boat captain, mail carrier and mayor of two Oregon coast towns. 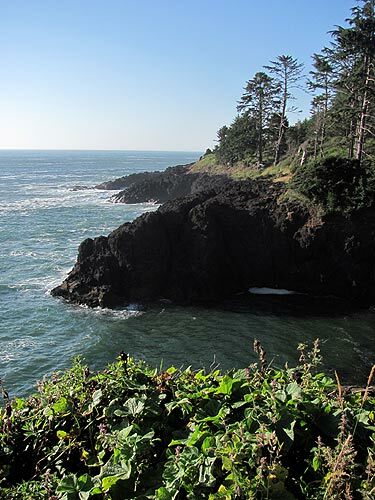 His early career of carrying mail along the primitive roads between the coast and Corvallis inspired him to push for a full highway along the shoreline. Work on what was then called the Roosevelt Military Highway was started in 1921 but he did no live long enough to see it completed ten years later. 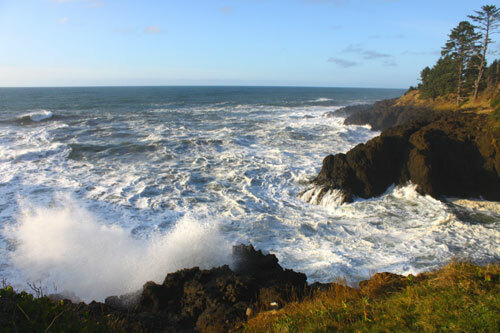 You see video of this central Oregon coast hotspot here.